Libraries offer more than a chance for readers to check out the latest Sue Grafton mystery: They can feed the hungry, especially children and especially in the summer. A recent study concludes that the very reasons communities value libraries — an open atmosphere, plenty of information and public access — are positive rationales for feeding, and even educating, hard-to-reach, at-risk populations. In 2015, Stanford University School of Medicine examined ten libraries in Silicon Valley to see if a library-based summer meal program could address food insecurity. The results, published in March, show that this community-based approach succeeded in addressing more than food insecurity: It bonded families. What made the Stanford-study meal program different than others was that both parents (or other adult guardians) and their children received meals. Similar community meal offerings serve children only. Meal programs were served during lunch five days per week for six to eight weeks during the summer break. The libraries —in conjunction with the YMCA Silicon Valley, Second Harvest Food Bank and Revolution Foods — provided meals to children, their accompanying parent or parents, and other adults. Participating libraries served approximately 18,000 meals. Most of the 161 participants reported living in two-parent/adult-led households. Thirty-three percent of survey participants noted that the head of their household had either a bachelor’s or graduate degree, reinforcing a theory that many community members in the wealthy Silicon Valley were left behind by the Great Recession, which had a disproportionately negative impact on children. The fallout for hungry children is particularly heavy in the summer, a time when advantaged kids go to summer camps. 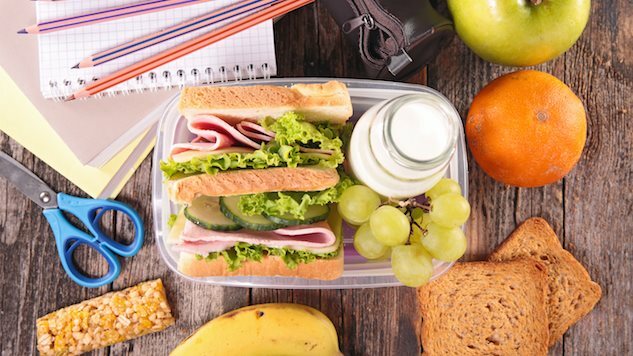 In San Mateo and Santa Clara Counties, 38 percent of kids receive free or reduced-fee lunches during the school year, yet fewer than 20 percent of those children take advantage of free lunch programs in the summer. Most libraries offer summer reading series, which are natural complements to a meal program. The positive response from the Stanford study has led the San Mateo County Libraries to offer even more services that provide learning opportunities while addressing food insecurity. “Whether through our ‘Talk Read Sing’ early education program or our family engagement program for school-age children, we’ve been intentional in offering nutritious meals as a core part of our efforts to close the achievement gap for low-income children,” says Despain. The San Mateo County Libraries also now address food insecurity during the winter school break, offering dinner to participants in addition to a family learning activity. Rita Kasperek’s work has appeared in Word Riot, St. Louis Magazine, PC World, Terrain, Art Business News, Storyglossia, and many other publications. Recently she wrote about food history for Paste.